Or, Friends don’t let friends work for hire. Photographers and other media workers hate work for hire, because it’s often a bad economic tradeoff, giving up future income potential for work that’s underpaid in the first place. But at least when you give up rights to a photo, that’s the end of it. You can take future photos without worrying about past ones. For models and software, that’s not the case, and therefore work for hire makes modelers a danger to themselves and to future clients. The problem is that models draw on a constrained space of possible formulations of a concept, and tend to incorporate a lot of prior art. Most of the author’s prior art is probably, in turn, things learned from other modelers. But when a modeler reuses a bit of structure – say, a particular representation of a supply chain or a consumer choice decision – under a work for hire agreement, title to those equations becomes clouded, because the work-for-hire client owns the new work, and it’s hard to distinguish new from old. The next time you reuse components that have been used for work-for-hire, the previous client can sue for infringement, threatening both you and future clients. It doesn’t matter if the claim is legitimate; the lawsuit could be debilitating, even if you could ultimately win. Clients are often much bigger, with deeper legal pockets, than freelance modelers. You also can’t rely on a friendly working relationship, because bad things can happen in spite of good intentions: a hostile party might acquire copyright through a bankruptcy, for example. The only viable approach, in the long run, is to retain copyright to your own stuff, and grant clients all the license they need to use, reproduce, produce derivatives, or whatever. You can relicense a snippet of code as often as you want, so no client is ever threatened by another client’s rights or your past agreements. Things are a little tougher when you want to collaborate with multiple parties. One apparent option, joint ownership of copyright to the model, is conceptually nice but actually not such a hot idea. First, there’s legal doctrine to the effect that individual owners have a responsibility not to devalue joint property, which is a problem if one owner subsequently wants to license or give away the model. Second, in some countries, joint owners have special responsibilities, so it’s hard to write a joint ownership contract that works worldwide. Again, a viable approach is cross-licensing, where creators retain ownership of their own contributions, and license contributions to their partners. That’s essentially the approach we’ve taken within the C-ROADS team. One thing to avoid at all costs is agreements that require equation-level tracking of ownership. It’s fairly easy to identify individual contributions to software code, because people tend to work in containers, contributing classes, functions or libraries that are naturally modular. Models, by contrast, tend to be fairly flat and tightly interconnected, so contributions can be widely scattered and difficult to attribute. Part of the reason this is such a big problem is that we now have too much copyright protection, and it lasts way too long. That makes it hard for copyright agreements to recognize where we see far because we stand on the shoulders of giants, and distorts the balance of incentives intended by the framers of the constitution. In the academic world, model copyright issues have historically been ignored for the most part. That’s good, because copyright is a hindrance to progress (as long as there are other incentives to create knowledge). That’s also bad, because it means that there are a lot of models out there that have not been placed in the public domain, but which are treated as if they were. 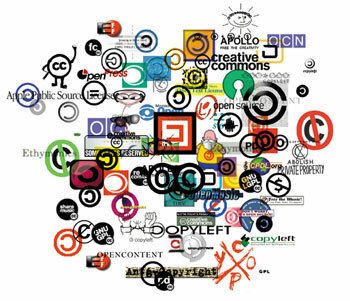 If people start asserting their copyrights to those, things could get messy in the future. A solution to all of this could be open source or free software. Copyleft licenses like the GPL and permissive licenses like Apache facilitate collaboration and reuse of models. That would enable the field to move faster as a whole through open extension of prior work. C-ROADS and C-LEARN and component models are going out under an open license, and I hope to do more such experiments in the future. Update: I’ve posted some examples. The MIT Center for Collective Intelligence is organizing a workshop at this year’s Conference on Computational Sustainability entitled “Modularity and Integration of Climate Models.” Check out the Agenda. Traditionally, computational models designed to simulate climate change and its associated impacts (climate science models, integrated assessment models, and climate economics models) have been developed as standalone entities. This limits possibilities for collaboration between independent researchers focused on sub-­?problems, and is a barrier to more rapid advances in climate modeling science because work is not distributed effectively across the community. The architecture of these models also precludes running a model with modular sub -­? components located on different physical hardware across a network. In this workshop, we hope to examine the possibility for widespread development of climate model components that may be developed independently and coupled together at runtime in a “plug and play” fashion. 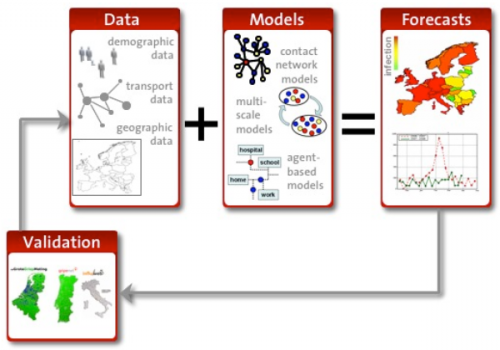 Work on climate models and modeling frameworks that are more modular has begun, (e.g. Kim, et al., 2006) and substantial progress has been made in creating open data standards for climate science models, but many challenges remain. A goal of this workshop is to characterize issues like these more precisely, and to brainstorm about approaches to addressing them. Another desirable outcome of this workshop is the creation of an informal working group that is interested in promoting more modular climate model development. Fit to data, good or evil? The following is another extended excerpt from Jim Thompson and Jim Hines’ work on financial guarantee programs. The motivation was a client request for comparison of modeling results to data. The report pushes back a little, explaining some important limitations of model-data comparisons (though it ultimately also fulfills the request). I have a slightly different perspective, which I’ll try to indicate with some comments, but on the whole I find this to be an insightful and provocative essay. First and Foremost, we do not want to give credence to the erroneous belief that good models match historical time series and bad models don’t. Second, we do not want to over-emphasize the importance of modeling to the process which we have undertaken, nor to imply that modeling is an end-product. In this report we indicate why a good match between simulated and historical time series is not always important or interesting and how it can be misleading Note we are talking about comparing model output and historical time series. We do not address the separate issue of the use of data in creating computer model. In fact, we made heavy use of data in constructing our model and interpreting the output — including first hand experience, interviews, written descriptions, and time series. This is a key point. Models that don’t report fit to data are often accused of not using any. In fact, fit to numerical data is only one of a number of tests of model quality that can be performed. Alone, it’s rather weak. In a consulting engagement, I once ran across a marketing science model that yielded a spectacular fit of sales volume against data, given advertising, price, holidays, and other inputs – R^2 of .95 or so. It turns out that the model was a linear regression, with a “seasonality” parameter for every week. Because there were only 3 years of data, those 52 parameters were largely responsible for the good fit (R^2 fell to < .7 if they were omitted). The underlying model was a linear regression that failed all kinds of reality checks. Author TomPosted on December 4, 2009 September 6, 2018 Categories Models, SystemDynamicsTags data, Models, system dynamicsLeave a comment on Fit to data, good or evil? SiMCaP – A simple tool for exploring emissions pathways, climate sensitivity, etc. PRIMAP 2C Check Tool – A dirt-simple spreadsheet, exploiting the fact that cumulative emissions are a pretty good predictor of temperature outcomes along plausible emissions trajectories. EdGCM – A full 3D model, for those who feel the need to get physical. Last but not least, C-LEARN runs on the web. Desktop C-ROADS software is in the development pipeline. I just created an annotated list of links on learning/experience curves, deliberate R&D, and other forms of endogenous energy technology, including a few models and empirical estimates. See del.icio.us/tomfid for details. Comments with more references will be greatly appreciated!